Enjoy the top 1 famous quotes, sayings and quotations by Robert Platt. 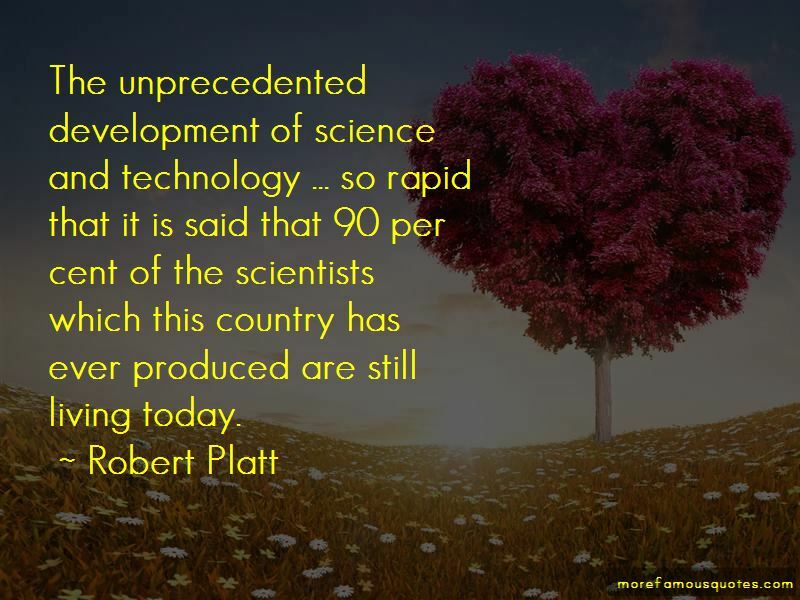 The unprecedented development of science and technology ... so rapid that it is said that 90 per cent of the scientists which this country has ever produced are still living today. Want to see more pictures of Robert Platt quotes? Click on image of Robert Platt quotes to view full size.